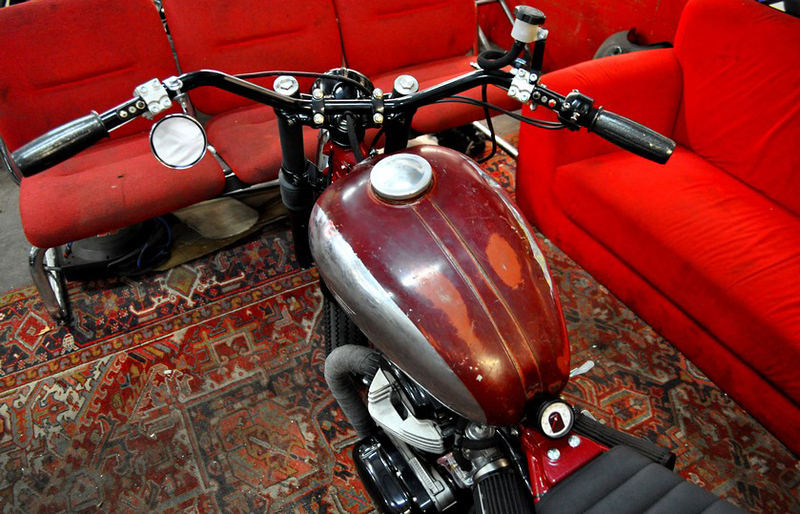 Did you hear the one about the Frenchman, the Czechoslovakian tank and the Japanese bike? Sounds like a joke, right? 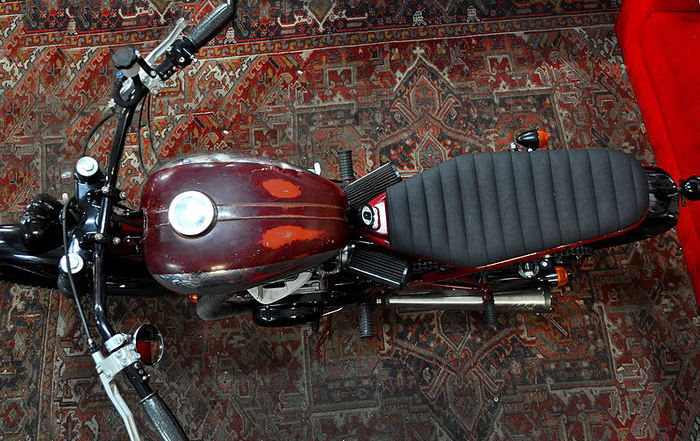 But the punchline is this sweet W650 “Gentle Tracker”, built by the Parisian guys at Blitz Motorcycles. When one of their customers came into the shop asking for a unique build and a very open brief, they obviously had a few ideas. But then when he mentioned the name of his business was Jawa Productions, they immediately thought they had to get their hands on an old Jawa tank. 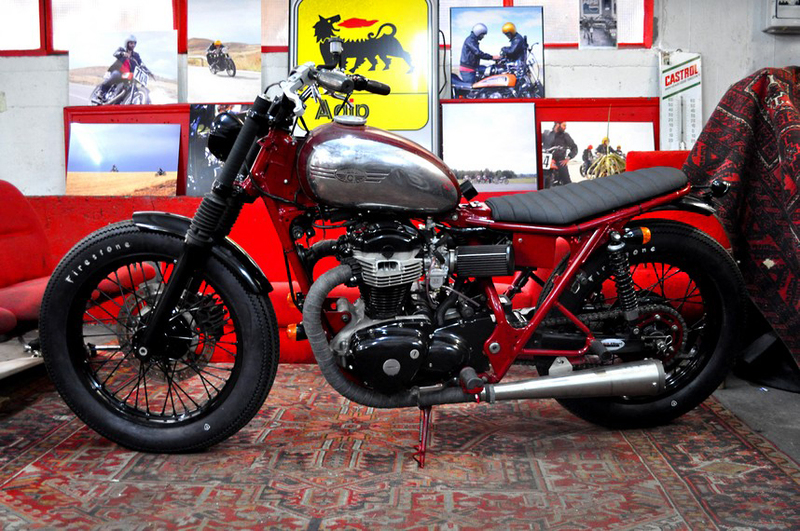 Blitz started by powder coating the frame in a glossy red color called “Carmin”, it was the closest match to the original colour of the beat-up vintage Jawa CZ350 tank they found. They also painted the wheels, crankcase covers and fork in a shiny black powder coated. The cylinders were also painted in high temperature black paint. 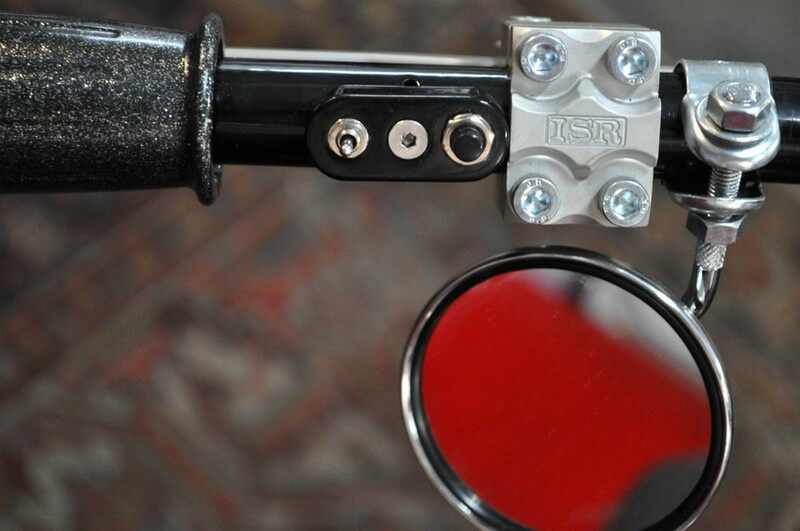 The handlebars are from a Triumph T140 US and fitted with clutch levers by ISR, tiny switches and Posh black glitter grips. 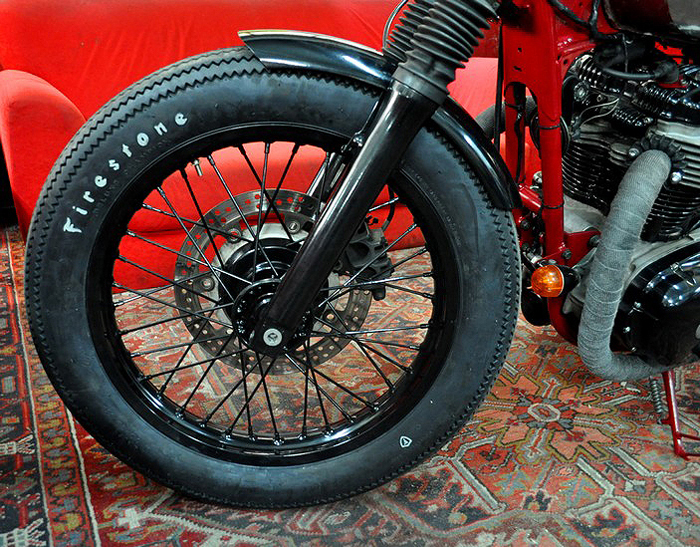 They’ve also used the ever popular Firestone Deluxe tires and placed a MotoGadget speedometer below the tank. 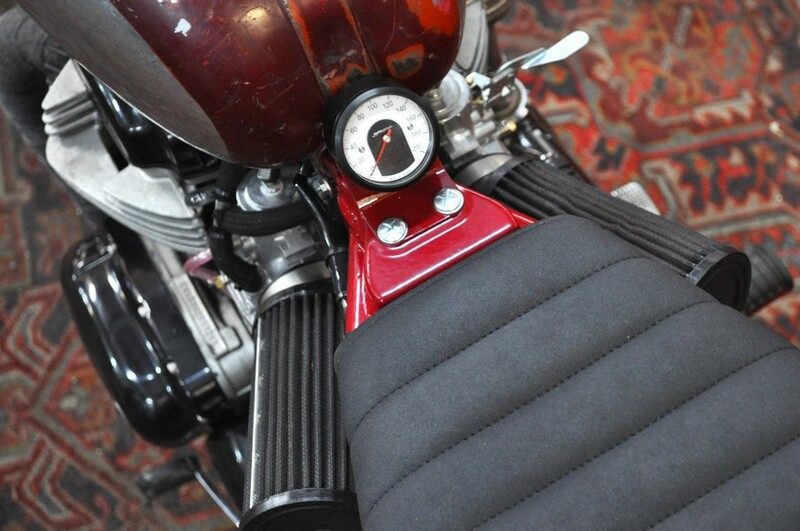 Apart from the cosmetic changes Fred and his team have lowered the W650 by 4cm (1.75 inches), added Hagon rear shocks, simplified the electrics and created a custom red battery box. They’ve increased the horse power by adding Mikuni VM34 carburetters and K&N air filters. Lastly they’ve thermo wrapped the exhaust pipes and added Supertrapp mufflers. And put it on a sweet old rug. Overall Blitz have created a great looking tracker, particularly the contrast between the dented old Jawa tank to the shiny and fresh-out-of-the-box style of the rest of this Kwaka. Bon boulot!